Manufacturing is a challenging field. At any given time there are hundreds (if not thousands) of things that might go wrong, stop working, or (simply put) go crazy. 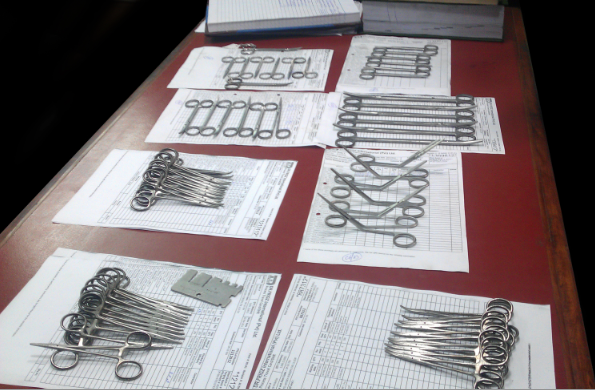 Manufacturing of surgical instruments is even more difficult because of the sheer load of information that comes with product variations, production stages, and the item-specific parameters that have to be controlled with each lot. Without a strong information management and control system you can simply forget about managing thousands of instruments running under tens of thousands of lots within the factory. The inventory levels, production parameters, customizations, delivery schedules, costs, and tracking customer orders are amongst few of the things which are absolutely necessary for any production firm. The ISO and cGMP standards also place give due weight to the importance of having a strong information infrastructure in place for any good manufacturing firm. At Frigz, we had to develop a custom made ERP system so that the challenging task of planning, production, and decision making can be done in the shortest while possible. Our system allows us to link sales with production and QMS, HR, Finances, and everything in between. The vast number of data entring our systems throughout the day entail that proper backup solutions are set in place so no data is ever lost and in fact readily available at the push of a button. All this effort and investment provides a solid foundation for handling any size of business; big or small, from our customers. We know exactly where each item is, which raw material was used to make it, what were the customer’s feedback regarding it in the previous shipments and which employees worked on it. Imagine having to manage 4000 different instruments at any given time. Imagine having to control their processes and parameters where our average instrument has about 30 processes from forging to shipment. Imagine keeping all this information up to date at all the time and then having it available for effective decision making, for auditing, and for customers. Imagine the time and effort to put such a system in place so that our customers can have quick service and proper information at the time they need it. 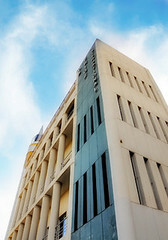 Our ERP system is one of our greatest strengths in management at Frigz and one of the biggest resource to our customers. manufacturing a stainless steel medical tool is challenging since it has be to graded and the manufacturer is ISO 13485 certified.